Fast-Lite Sword Stripers by Mack Brush. Longer hairs for the pinstriper and sign painters who like that longer hair. 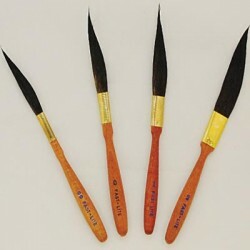 Brushes are made out of Blue Squirrel hair.